This 13 track album opens with the snare drum intro of fifth and final single Queen Of The New Year. Guitar, bass and bass drum join in to create a chugging platform for Ricky Ross‘ crisp vocals to effortlessly take us through this track. It’s definitely a foot-tapper. Ricky is joined by the soft backing vocals of Lorraine McIntosh (the pair throw in some great ‘hoo hoo hoo‘s) and a fun little fiddle section. This song gets faster and faster as it draws to a close, in what seems like a drums and vocals vs fiddle play-off. This was a moderate hit in 1990, reaching #21 in the UK. 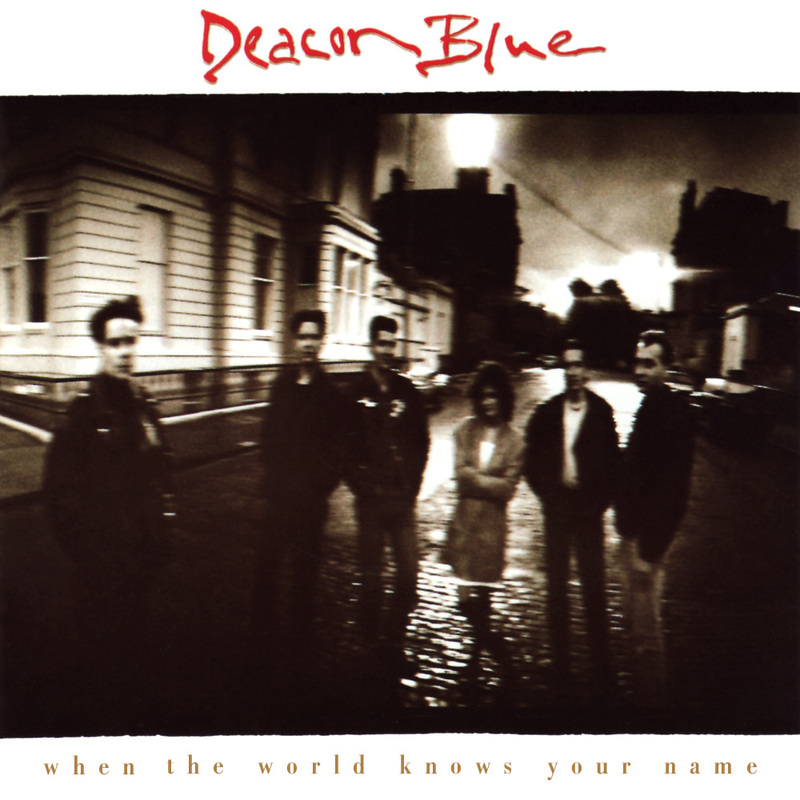 Deacon Blue ‘Love And Regret’ reached #28 in the UK chart in 1989. Posted in 1980s, Deacon BlueTagged 1989, album, Dougie Vipond, Fergus Sings The Blues, Graeme Kelling, Lorraine McIntosh, Love And Regret, Queen Of The New Year, Real Gone Kid, review, Ricky Ross, Wages Day, When The World Knows Your NameBookmark the permalink.